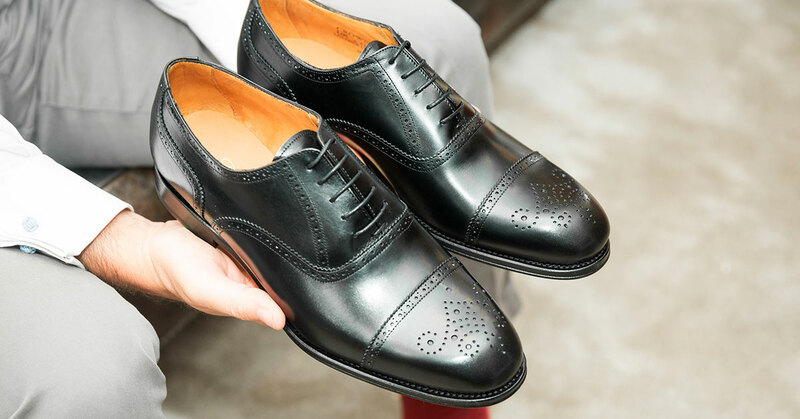 Our Oxford shoe full brogue in color black, fabricated in Spain under a handmade construction, is a must have for the business men. The Buenos Aires will let you move freely through your commitment agenda and events without the need of changing the shoes. 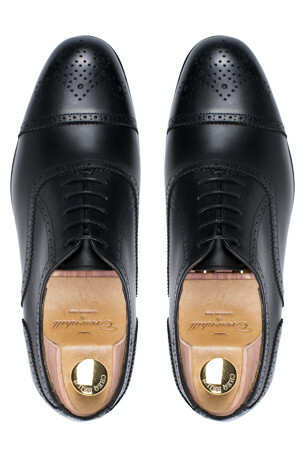 The delicate brogue that adorns these shoes highlights its elegance while it shows certain modernity. This is a perfect blend of trend and tradition. You can wear these shoes perfectly in a day at the office with a blue or black suit, but thanks to its versatility, you can wear The Buenos Aires with blazer and jeans. This pair of shoes will make you feel comfortable and elegant in any field. This is a timeless shoe that will allow you to be in style in any situation. The Buenos Aires is a shoe with laces and a brogue, made in box calf of the first quality and hand-sewn following a Blake construction. Mounted in our Crawford last, and we obtain a more elongated and rounded tip. The leather sole has a non-slip rubber embedded Spy, which will get that rainy days won’t be a problem anymore. In addition, our patented FlexiComfort system will absorb the weight of the foot making your feet comfortable and you won’t pay the bill for the long days at the office. Os sapatos são bons e têm grande aspecto, a qualidade dos materiais e dos acabamentos é excelente. A relação qualidade-preço é excelente, sendo muito difícil encontrar sapatos com melhor qualidade a melhor preço. Para além disso, o prazo de entrega foi escrupulosamente cumprido (mesmo sendo um número grande e inexistente em stock). Hacía unas semanas me compré los zapatos The Sinatra (Premium Grade), pero al poco tiempo me compré los Buenos Aires y la verdad es que siendo más económicos quedé igualmente satisfecho. 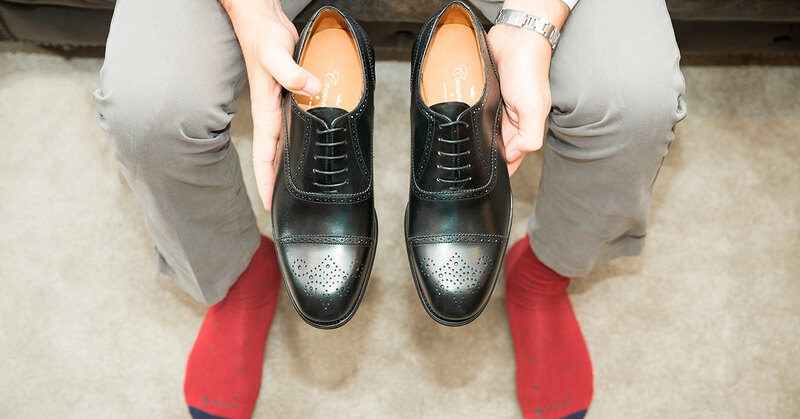 Zapatos muy fáciles de llevar con un traje y muy cómodos para el día día en el trabajo. Tan importante como un mecánico o un barbero de confianza, es tener una zapatería con la que puedas contar y confiar con los ojos cerrados. Confié los zapatos de mi boda a ellos, y este es mi segundo par. Con Crownhill sabes que no vas a fallar. Gracias por todo, un auténtico placer. The excellent materials matches with the simple elegant lines of design, together with comfort and quality of service. I hope I can count with you again. Unos zapatos de gran calidad, mejoran bastante respecto al aspecto de la web. Presentan un diseño elegante con detalles muy conseguidos como suelas, costuras y cordones. Son muy cómodos de uso, y la piel y el resto de componente son de de alta calidad. Shoes are of a very good quality, look great and what is equally important are very comfortable. Adding very good value for money ratio I highly recommend purchase.